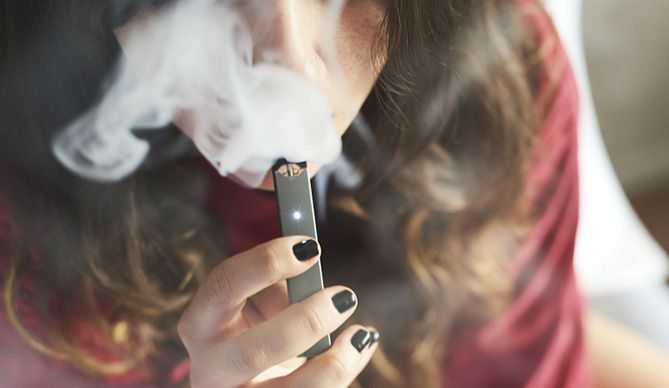 A major new study has found that e-cigarettes can help smokers quit—good news, because smoking causes nearly 6 million deaths a year, including 480,000 in the U.S. The bad news, reports NPR.com, is that many people who use e-cigarettes to stop smoking end up hooked on vaping, which carries its own health risks. For the study, British researchers recruited 886 smokers who wanted to quit and split them into two groups. The first received nicotine gum, inhalers, and other standard replacement treatments; the second were given e-cigarettes. Both groups also received a month of weekly one-on-one counseling sessions. After a year, 18 percent of the e-cigarette group had quit, compared with 10 percent of those using traditional therapies. “Anything that helps smokers avoid heart disease and cancer and lung disease is a good thing,” said lead researcher Peter Hajek, from Queen Mary University of London, “and e-cigarettes can do that.” However, 80 percent of the quitters in the e-cigarette group were still vaping at the one-year mark; only 9 percent of the quitters in the traditional nicotine replacement group were still using those products. Continued e-cigarette use worries some scientists because of growing evidence of vaping’s harmful health effects. A U.S. study unveiled last week found that compared with nonusers, people who vape have a higher risk of stroke (by 71 percent), heart attack (59 percent), and heart disease (40 percent).